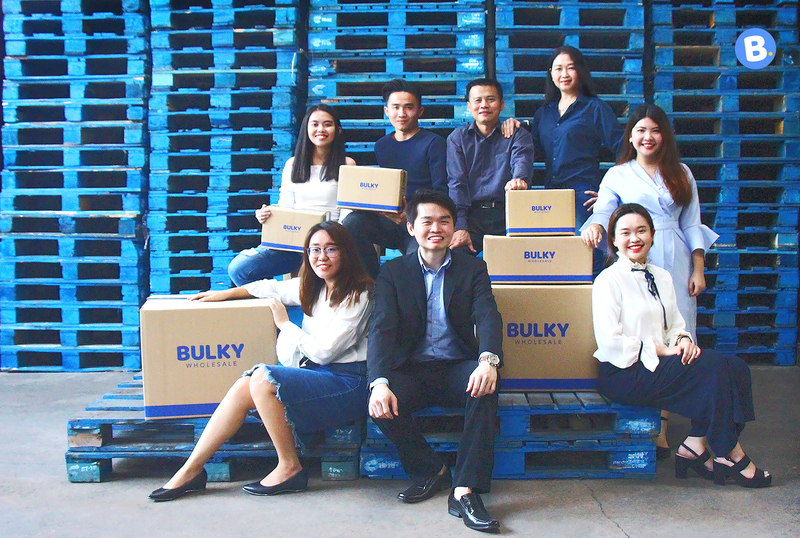 BULKY is an online wholesale shopping website founded by Nicholas Tee with support from his parents, who are founders of their own business called L.K. Tee Enterprise Sdn Bhd. Sometimes the best deals are the ones you get at your favourite pasar malam when you bargain with the mak cik to get a cheaper t-shirt. The reason why they can sell it to you a cheaper price is because they got it at a much cheaper price. But how did they get it at that? Wholesale pricing is cheaper is because the wholesalers—the ones offering the wholesale pricing—purchase from the manufacturers in very large volume, and then sell in smaller quantities (perhaps by the box or by the case) to retailers (e.g. supermarkets), that in turn sell to consumers in small quantities. For retailers like Giant and AEON to make money, they look for the best price at the lowest quantity with the best quality. They have to inventory the items, place it on the shelves, wait for it to sell, and then sell it. When some consumers decide they want to return the item, this leads to the retailer having to ship it back to the wholesaler for credit. All of this costs money and is reflected in the retail price. Having said that, he noticed that there are very limited physical retailers that offer customers the option to shop for wholesale. Even if there are, the minimum order quantity (MOQ) is very high, and it generally requires man power to transport the goods. Thus, Nicholas came up with the idea of BULKY, an online wholesale shopping website. “We are inspired to get everyone to access and enjoy the great benefits from wholesale shopping,” he said. Bulky was founded by Nicholas with support from his parents, Tee Leong Kee and Lee Bee Kiow. His parents are founders of their own business called L.K. Tee Enterprise Sdn Bhd. It’s a regional FMCG distributor, wholesale, international importer and exporter that has been operating for more than two decades. With all of that taken into consideration, Nicholas thought to himself that it’s a good time to delve into the digital world. The family team then decided to create BULKY to transform and improvise the existing traditional supply value chain into a performance driven and cost-effective model which is backed by the latest technology. BULKY is able to provide cheaper prices as they are an online wholesale store with no physical shop and excessive overhead cost required. “We are passing customers the savings by offering products at attractive prices without compromising the quality of product and service,” said Nicholas. Although BULKY sets minimum order quantities (MOQ), there are relatively low numbers with some minimum orders set at just one unit. The more units of a particular product that you buy, the more the price for each item will drop. 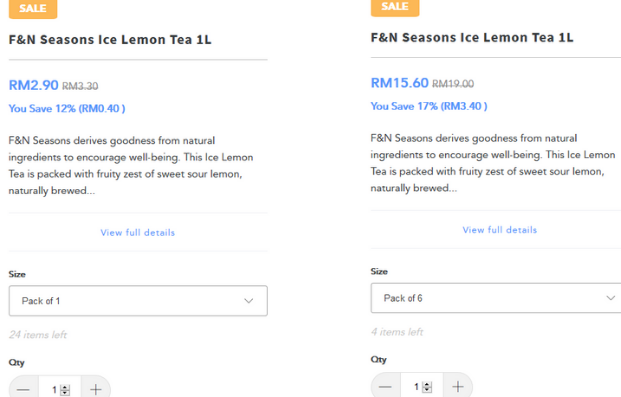 For example, one bottle of F&N Seasons Ice Lemon Tea 1 litre will cost RM2.90, while buying 6 bottles will cost a total of RM15.60 and it only costs RM2.60 per bottle. The price comparison if you buy more quantities. “At BULKY, the MOQ is set based on customers’ price acceptance level and buying behavior which is derived from the data and market insights that we had obtained,” he explained. On why BULKY is different compared to other e-commerce websites, other than the cheaper prices offered, Nicholas offered his belief that their service is top notch. Although Nicholas faces the threat of price wars all the time as e-commerce players are constantly having promotions (such as the 11-11 Singles Day Extravaganza), he stated that they do not react most of the time to these price wars as they believe that they have a better value proposition. However, Nicholas is proud that the team managed to launch BULKY within 4 months of planning and preparation. Currently, the platform has close to 200 brands with more than two thousand of Stock Keeping Units (SKUs) from six key grocery categories with 41 sub-categories. BULKY also caters to corporate clients with BULKY For Corporate. For this service, clients will be given a dedicated account manager. Nicholas and his team are aiming to expand their services to East Malaysia in Q1 2019 with their vision of extending their market coverage nationwide. If you would like to know more about BULKY, you can check out their website and social media.